Rossini thought that his aria ‘Non più mesta’ from La Cenerentola was so good that he used it in three of his operas. 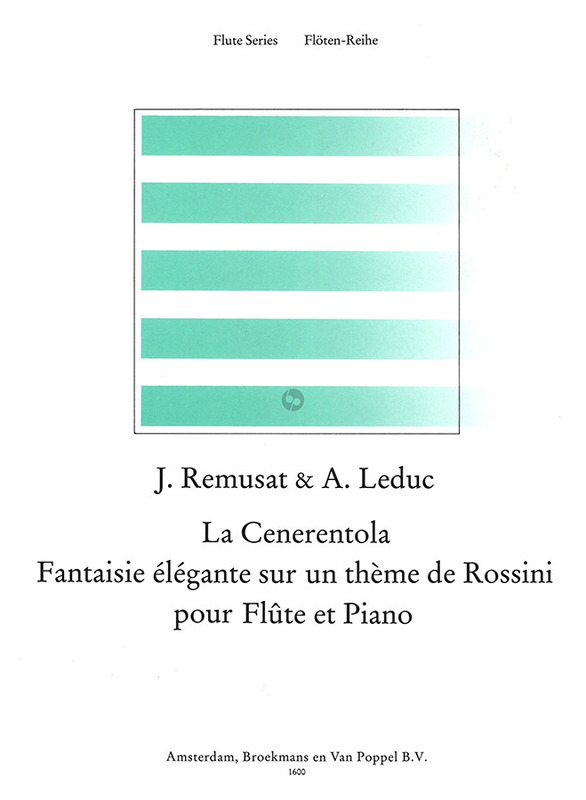 Besides Chopin, the flautist Remusat (1815- 1880) and the pianist Leduc collaborated on a set of short variations on the theme. 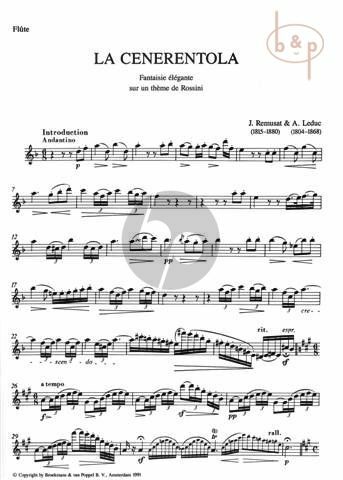 Whereas Chopin merely gave the piano a few chords with which to accompany the flute, the variations of Remusat and Leduc present a lively interplay between the two instruments. They also composed a brief introduction based on a canzone from the same opera. The grade of difficulty for the flute and piano is limited.